Pearlfisher examines why B&O PLAY is an example of a lifestyle brand. Fiercely coveted but disappointingly rare, the title of ‘lifestyle brand’ has long been considered the uncontested ‘Holy Grail’ of brand success. By embodying the values and beliefs of certain subcultures, lifestyle brands are able to command a slice of the consumer’s identity as opposed to simply a portion of their disposable income. In an increasingly hybridised world, getting this right has never been more important – and equally, never more of a challenge. Our work building challenger and iconic brands over the years has helped us identify five recurring principles that we see setting lifestyle brands apart from the rest. In this series, we profile brands fulfilling these cultural expectations to define the lifestyles we aspire to lead. In this edition, we explore how B&O Play, the fast-growing younger sibling of Bang & Olufsen, has positioned itself at the heart of an expressive generation of music lovers. Launched in 2012, B&O PLAY takes everything iconic about its parent – an emphasis on quality, performance, craftsmanship and design –and makes it accessible to a younger consumer. Where Bang & Olufsen is architectural, a piece of art to be beheld in the home, B&O PLAY is compact and contemporary, a piece of life to be brought with us to facilitate experiences, both individual and shared. B&O PLAY is on a mission is to become “the world’s leading audio lifestyle brand”, and is doing so by embodying the following five principles of lifestyle branding with sparkling originality and invisible rigour. Lifestyle brands are defined by the boldness with which they represent a value system, a way of life. 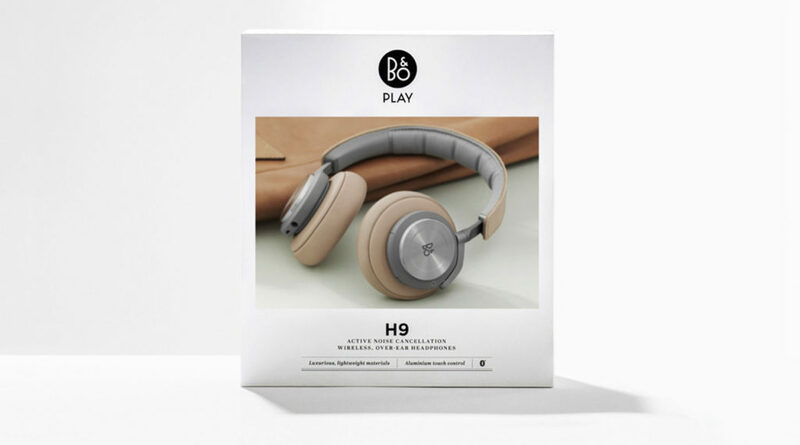 B&O PLAY is a brand with an opinion and a clear direction. Uncompromising in its focus on design ingenuity, the brand prioritises quality and attention to detail above mass-market appeal. Because it’s not looking to suit everyone, the community that B&O PLAY does appeal to – “young, urban, creative professionals with an interest in design” – is authentic, passionate and by default, fiercely loyal. Aspirational without inducing a polarising effect, the brand presents a textbook example of the importance of wearing your values on your sleeve. In an increasingly ‘conscious’ society, brands are no longer defined by their output but rather, by what they choose to explore. Lifestyle brands communicate a message that is greater than themselves. Where its competitors – Beats, Pulse, Sony – approach marketing from a functional and product-centric point of view, B&O Play’s positioning is unashamedly emotional. Similar in nature to Nike’s focus on ‘greatness’ or the Vans story of ‘rebellion’, B&O PLAY considers itself in the business of ‘goosebumps’. In all of its communication, the brand tells a non-linear story about sound – its influence on the human condition, the role it plays in changing situations, the transformative power of music to make us truly feel something – which imbues B&O PLAY with a cultural relevance that will live on beyond the lifetime of any of its products. Just as our ‘lifestyles’ are multidimensional – diverse collections of experiences, situations and decisions – a brand aspiring to align with a certain lifestyle should represent this diversity in the way it connects with consumers. This means more than simply replicating content for Snapchat; it’s about establishing an authentic, unoppressive presence across a range of platforms that delights the consumer with each new interaction to deepen their relationship with the brand. B&O PLAY gets this right with effortless imagination. Whilst seemingly unlinked, the platforms the brand chooses to leverage strengthen its underlying message of style and design excellence by emphasising the ‘red thread’ that unites them. Digitally, the brand takes a curated approach to content marketing, harnessing contextual lifestyle photography to tell the story of the craftsmanship behind the products and the lifestyles into which they slot. Video campaigns feature artists, actors and athletes discussing the role of sound in their daily lives, projecting a broader narrative around sound into social culture, while art installations at boutique music festivals bring the brand to life for niche cultural enthusiasts. Offline, the brand broadens its taste-maker appeal with the B&O PLAY ‘Journal’. This editorial incarnation features articles, podcasts and cultural calendars that explore Design, Sound, Fashion and Art in the context of their target consumer. Finally, B&O PLAY engages in positioning exercises that place the brand firmly at the intersection of fashion, technology and design: in 2015 the brand collaborated with Danish designers to bring each product to life in a piece of clothing that was exhibited at Copenhagen Fashion Week and transformed into a visually arresting online campaign. To truly resonate with a consumer group, subculture or ideology, lifestyle brands seek to cultivate a deep understanding of their customer. Even more important is that this understanding reflects change as our lifestyles transition and evolve. Everything about B&O PLAY, from its product features to its communication campaigns, reflects a superior understanding of its target market. Speakers with capacity to make calls address the demands of a life on the move, as does the integration of B&O PLAY into Ford premium cars in pursuit of the ‘perfect road trip’. From a marketing point of view, the brand uses social data to tap into relevant topics and events that their target audience are paying attention. These insights are then applied to drive end-to-end campaigns with linked activities that move the audience through the consumer journey to conversion. 5. Create, maintain and consistently reinforce your desirability. Finally, lifestyle brands understand that they will make a deeper and more defining impact if they can create lasting desire. As the driving force of relationships, desire is the natural source of human connection but remains largely untapped in branding. While in life desire may feel more fluid, in branding it needs to be systematically directed and consciously nurtured over the long-term to drive brands forward beyond rational, and even emotional, appeal. B&O PLAY closely manages elements that amplify its desirability by being clear about what it represents without giving it all away in one fell swoop. Approachable but aspirational, the brand strikes a balance between reflecting culture and defining it, enticing the consumer into its world and inciting a desire to know more. 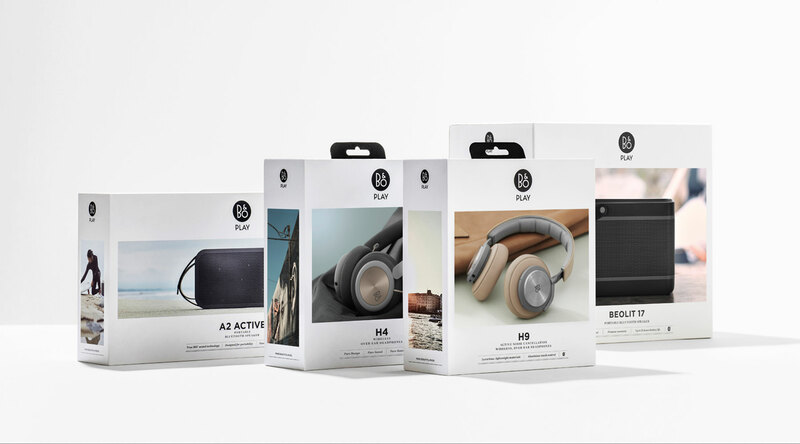 Our packaging design brings this desirability to life, tapping all the elements that make B&O PLAY a true lifestyle brand. Guided by a strategy to “create anticipation for beautiful music”, we looked to create an emotional connection before the consumer even encounters the product, transporting them from looking at a wall of silence in the audio aisle to truly “seeing the sound”. Drawing inspiration from the rich, premium and tactile world of magazines and print – one that delivers aspirational and inspiring stories of place, space, emotion and mood – we took an editorial approach to design that brings B&O PLAY’s Journal to life on pack. Telling the product stories in a way reflective of a revolving ‘annual,’ this visual narrative reflects both the transformative journey of music and the nomadic millennial lifestyles of its target market. 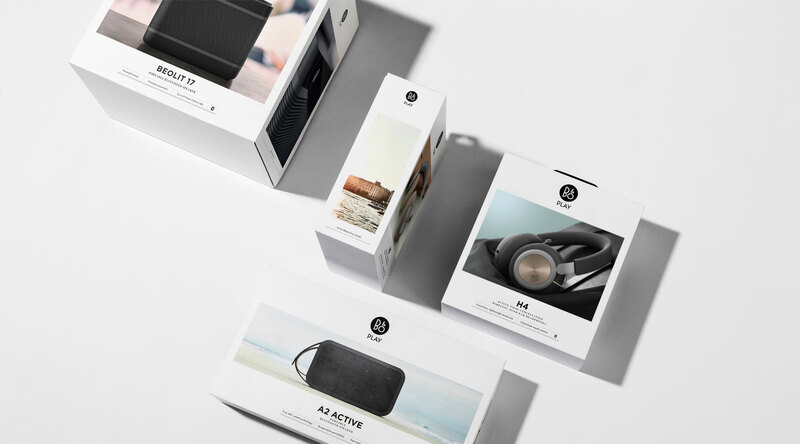 While this touchpoint forms just one element of B&O PLAY’s broader brand DNA, it demonstrates the kind of challenger mindset that sets lifestyle brands up for success. By asking, ‘How can we communicate who we are to people who believe in the same things, in a way that they’ll remember and fragments from the norm?’, B&O PLAY is boldly but authentically establishing itself as a lifestyle brand of a generation hungry for experiences catered to the curious mind.